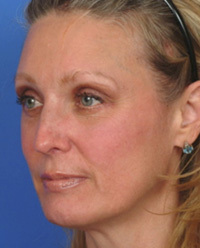 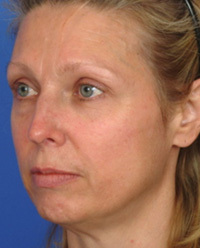 47 year old female 3 months after an endoscopic browlift and lower eyelid (blepharoplasty). 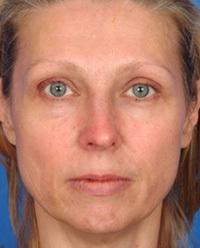 Frontal view: 3 months after an endoscopic browlift and lower blepharoplasty with Dr. Kwak. 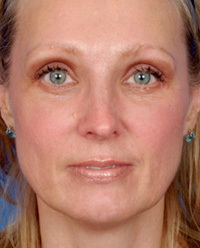 Oblique view: This view shows a more youthful brow position with improved brow symmetry. 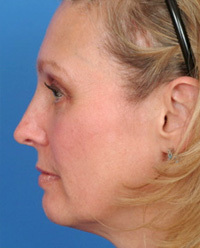 Lateral view: Notice the postoperative view has the eyebrow arching right above the eye socket. 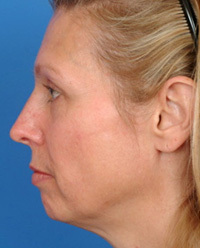 This patient also underwent a chin implant to improve her lower facial profile.